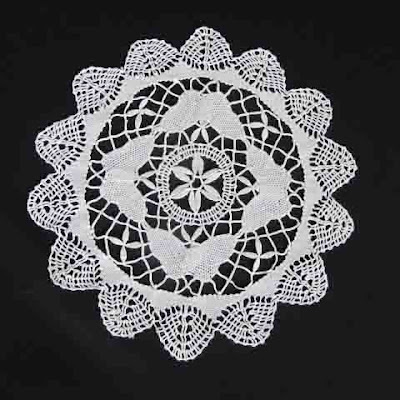 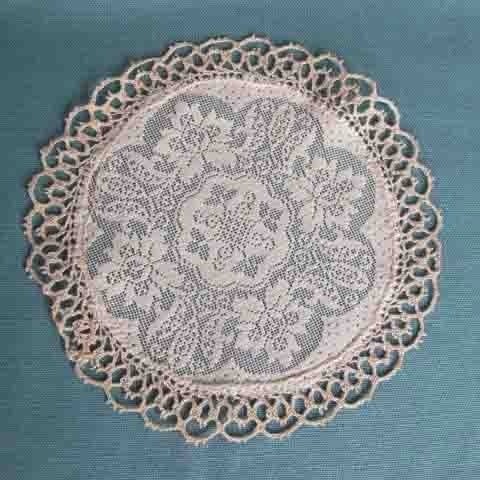 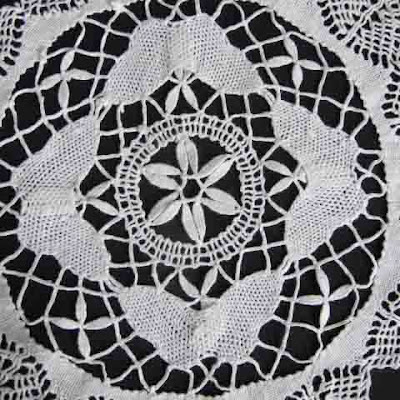 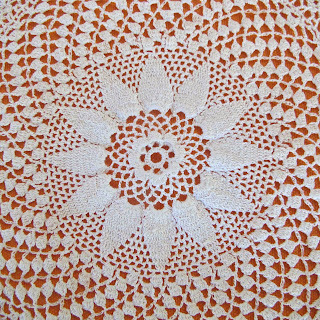 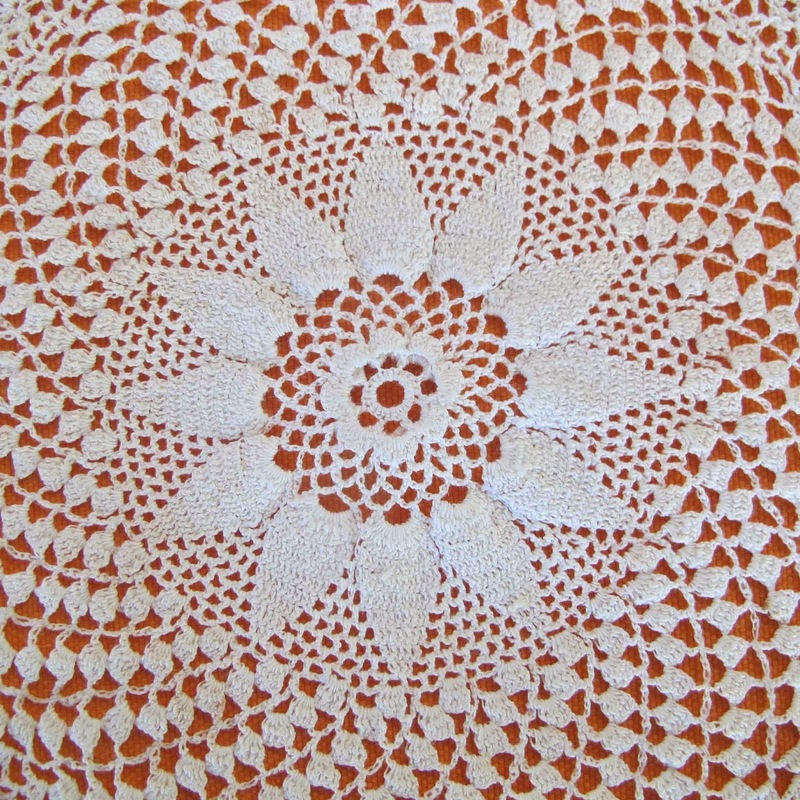 There is something utterly charming about vintage doilies, each one painstakingly and artfully made for using at home. 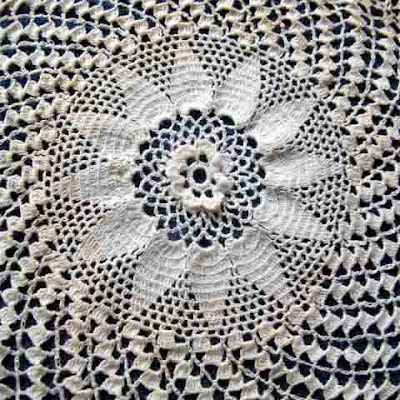 "They are crocheted and sometimes knitted out of cotton or linen thread. Openwork allows the surface of the underlying object to show through. 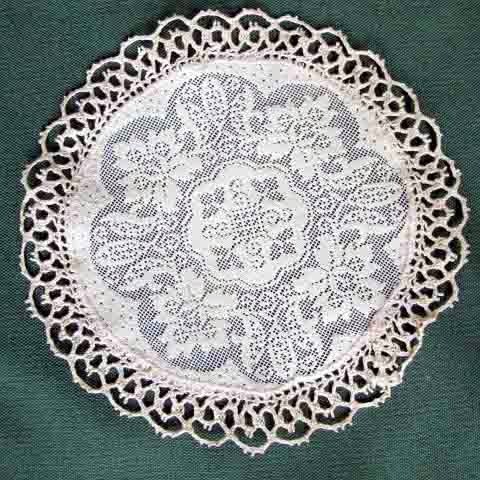 In addition to their decorative function doilies have the practical role of protecting fine-wood furniture from the scratches caused by crockery or decorative objects. 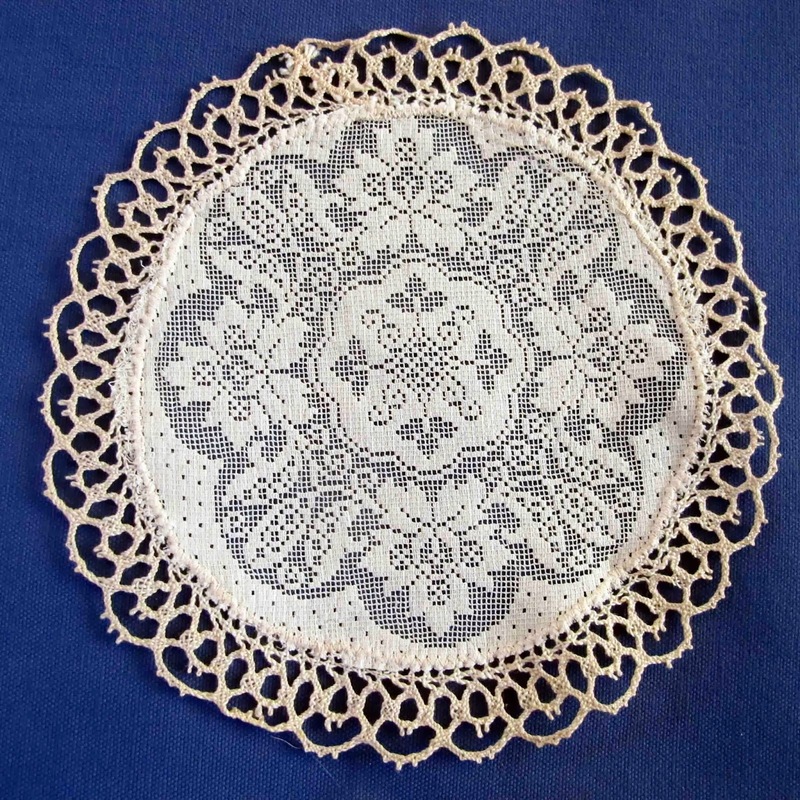 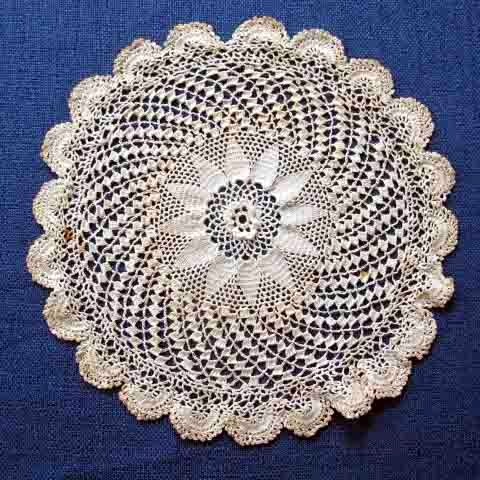 Many patterns for crocheting or knitting doilies were published by thread manufacturers in the first part of the 20th century. The designers were often anonymous. "